I had no idea what she was talking about. But I never forgot it. In fact, Nana Lupe started something in me that I believe impacted the lives of my wife, our 3 children, and now our 5 grandchildren. And it continues to impact many others as we have told that story many times and will pass it on to our children’s children. It’s a prayer of vision, hope and a purpose. What strikes me now was her utter strength and confidence in announcing to me her very bold declaration and assumption of my future wife. She believed in the power of prayer, even though I didn’t understand it at the time, and wouldn’t see the specific fruit of this prayer for many years to come. How would she know that my future wife, age 7 at that time, would sense a drawing toward God beyond the grasp of her secular family, a yearning that would lead her through teen years and college as if protected by a guiding hand? Such was the faith of an elderly grandmother who herself came to Christian faith after a wayward life took her from Guadalajara, Mexico to Los Angeles, California. She became a profound woman of God late in life. We only knew her as Nana Lupe, the grandmother who made me and my siblings cringe whenever she said grace at Thanksgiving dinner, as her prayers were long, passionate, and in Spanish, which none of us children at the table understood. Nevertheless, we know now that she prayed for us each individually daily for our future faith, our future marriages, and our future children. It’s an amazing legacy of bringing hope and light to a family that did not know God in the least. My parents and their 4 children all eventually came to a saving knowledge of Christ’s sacrificial death and today have children raised in this Truth that are now getting married and passing it on to the next generation. My grandmother lived into her 90’s and was able to be at my wedding and ultimately meet her great-grandchildren. My wife was so struck at hearing of her steadfast praying (for her!) that we began praying for our children’s future spouses as soon we found out she was pregnant. All 3 children got the future-spouse-prayer treatment over the years. By the age of 25 or earlier they had each married the love of their lives and now each pray for the future spouses of their own young children. 1. Pray for their hearts. Lord, I pray for the heart of my child and that of their future spouse to yield to your Spirit, learning to fully submit to your will, not their own. That they will seek your guidance in all things, even as young children, from grade school through high school and beyond. May they always surrender their full hearts to you first. 2. Pray for their protection. Lord, I ask for a covering of protection over my child and that same protection over their future spouse and family, wherever they may be today and over the years until they are brought together. Protect them from spiritual attack or physical, psychological or emotional harm. In Jesus’ name the enemy has no authority here. May your Spirit keep them whole and protected. 3. Pray for their impact. Lord, I pray for your Spirit to be infused in my child and that of their future spouse, to have a unique and profound impact in your kingdom, even as young children. May they be a growing blessing not only to their families but to their friends, classmates, and all who they encounter in their young lives. Use and equip them for your purpose as individuals and ultimately as a married couple. 4. Pray for their children. 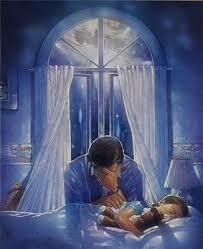 Lord, I pray for my child, their future spouse, and their future children, even unto many generations. That these young ones may grow and prosper as blessings in your kingdom and someday themselves raise a family that serves and follows you. Use this child and their future spouse to someday perpetuate your love, teaching and blessings under your guiding hand. Of course, there is nothing that precludes unmarried single people from applying the future-spouse-prayer treatment to themselves or others. And for grandparents (see Biblical Viewpoint post Essentials for Grandparents), your job goes well beyond prayer and encouragement. But it’s the praying parents of small children that best carries the weight of responsibility for the care and upbringing of their children into a life richly blessed and abundant. Have you tried the future-spouse-prayer treatment? ‹ If God is Good, Why Do I Feel So Bad? Thanks you very much. I believe every word of this. What an encouragement. This reminds me of my dear mother, a committed follower and servant of Jesus, and one who continually prayed for the future spouses of her 6 children. I sometimes tell people that I am convinced that God answers prayer because I have woken up next to a powerful one for over 44 years. Nice, Bob. That’s a great testimony to your mother’s heart of obedience and the power of prayer.